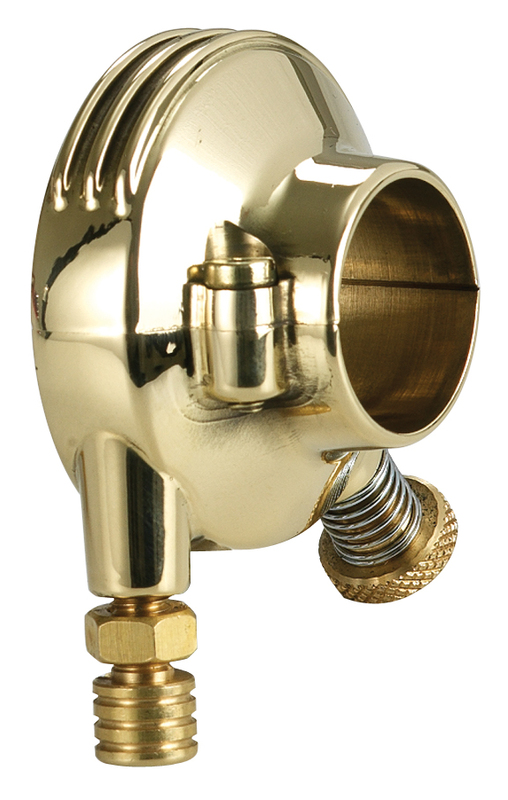 Our Retro Brass Motorcycle Throttle Housing is made for custom Harley Davidson motorcycles (HD), bobbers, custom choppers, and most custom bikes using 1″ diameter handlebars. This custom motorcycle throttle assembly is made from forged brass for a true old school chopper look. This single cable motorcycle throttle housing is for all Harley Davidson models from 1974 to present and looks great combined with our De Luxe Retro Motorcycle Hand Controls Aluminum and Brass, De Luxe Retro Cable Motorcycle Hand Controls Aluminum and Brass, Vintage Motorcycle Grips, Super Smooth Chrome Motorcycle Grips, Chopper Grips and Nostalgia Carburetor Cover. Man does this look Great! What about the other grip? What does a pair sell for? Throttle housing & grip. Right & left side. Also the brass gas cap but with out the spiner, stock harley tank. Twist/scress in type. Building a 72 Triumph Bobber. Hi Please could you tell me if you do these for 7/8 Bars, also would you ship to the UK If so at what Price?. 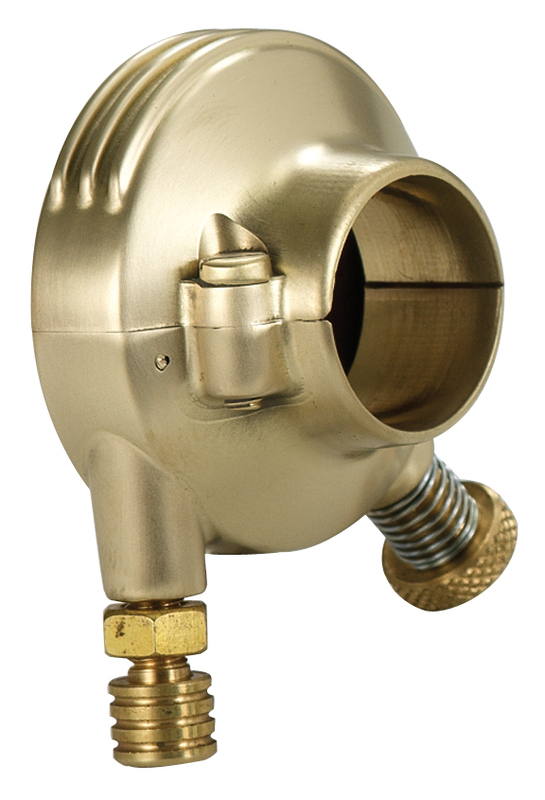 Thank you for your interest in Eurocomponents’ Brass Motorcycle Throttle Housing. 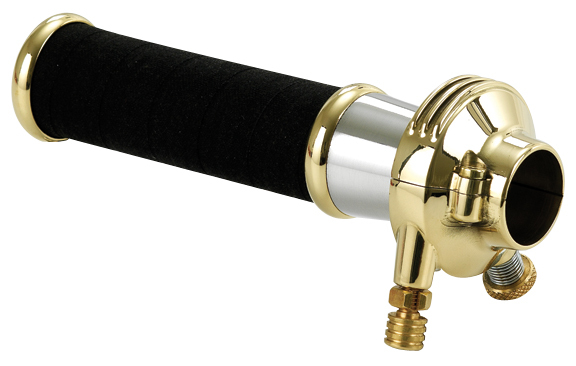 Sorry, but our brass throttle assembly is available only for 1″ handlebars. its that a left hand throttle? No, it is a regular throttle housing. 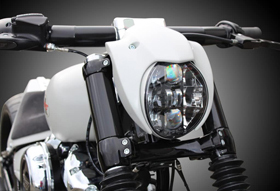 Hi, is this throttle housing available in chrome to match the retro grips SKU: 06-050, and controls SKU: 20-700. 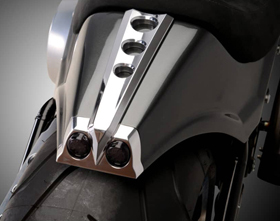 Thank you for your interest in Eurocomponents’ motorcycle throttle housings. Please note this is a single cable throttle housing. No, we do not sell the tubes. 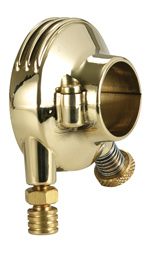 Our Retro Brass Motorcycle Throttle Housing can accept any Harley type grips.